Well, that was the best episode since Scandal’s return from hiatus. It mostly made sense. The plot moved forward. We got to see Olivia in her element again. Most importantly, we really go to see how far off the wagon Olivia has fallen and it turns out she’s not too far gone. That’s kind of a bummer, though. If Olivia can’t be this season’s Big Bad, then what are we doing here? 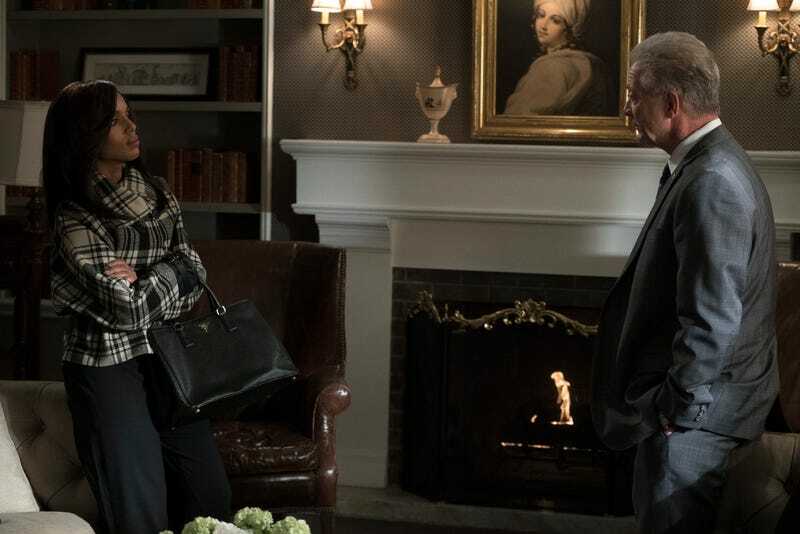 It almost seemed like Olivia was willing to ruin Mellie in the hopes of retaining power, but she still has her morals (and even she knows making Cyrus president would be a horrible idea). Olivia’s resignation is exciting without OPA in her corner, but I don’t think she’s done scheming for the White House. The Mellie/mammogram thing was kind of interesting, except wouldn’t there be a machine in the White House for First Ladies? Don’t they have mammograms scheduled? I mean, super interesting point about the patriarchy and the first female president, but it didn’t have as much bite as Mellie’s previous speeches. The scene with Rowan threatening Quinn’s baby was so unnecessary. Especially since he let them go so easily. Scandal enjoys having Papa Pope straddle the line between terrifying and father figure, but it wears thin when there’s an actual baby on the line. The scene with Rowan and Olivia was far more effective. I’d watch a show with Quinn, Charlie and their baby living in a Pennsylvania cabin. It’s cool that Jake and Olivia were so down to ruin that innocent government worker’s life. 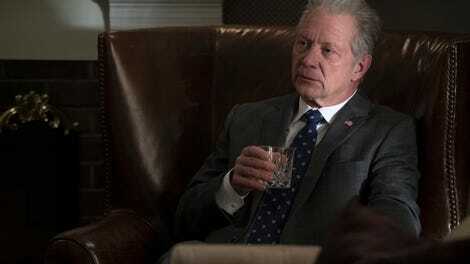 It’s cool that Cyrus was so ready to throw Mellie under the bus. At one point during this episode I thought, “What is Fitz doing right now?” I don’t know what that means for the quality of this season, but I’m surprised I cared. We only have a few episodes left and a lot of things feel up in the air. While it’s cool that Scandal will be crossing over with How to Get Away With Murder, it also feels like an unnecessary distraction. I can’t imagine that the How to Get Away With Murder gang will make things less complicated for Olivia.